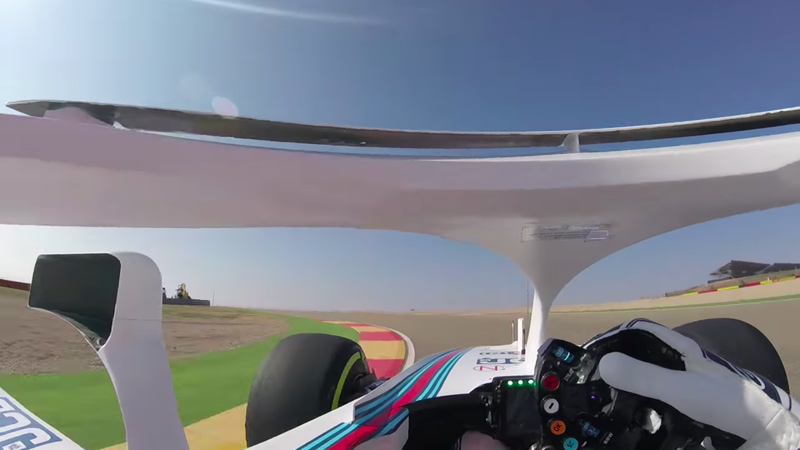 Formula 1's new Halo for driver protection still looks about as dumb as conceivably possible from the outside, but finally there’s POV video to show what it’s like from the driver’s perspective. Watch and judge for yourself, but this doesn’t look too bad. Mercedes released this video of the only view the new W09 will have: staring at an empty track in front of it. If you want to understand why F1 has a halo, watch this video going over all the tests they did of shooting a full tire at these things head on. If only they could figure out how to put a windscreen on these things and make them look less hideous, I’d be happy. I’d propose something like the Renault-Alpine A442A bubble canopy that was open top and bottom, but I’m a moron.